Dubai, UAE, June 26, 2018: Ever wondered if you could experience a beach paradise indoors? 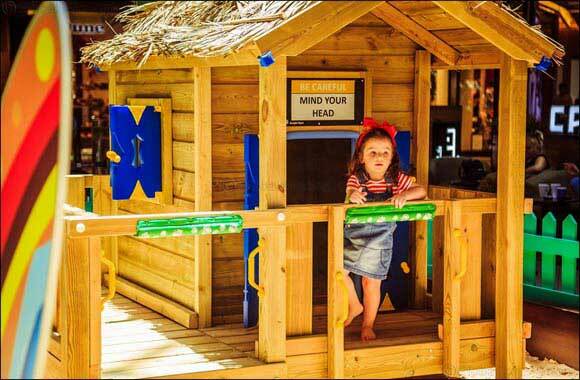 This summer, Dubai Marina Mall is offering a fantastic indoor beach experience with fun games and activities. So, go back to being a kid and dive into fun surprises at Dubai Marina Mall! Dubai Marina Mall will also be organising activations for kids and adults alike to offer a fun yet an entertaining summer experience. Kids can beat the heat at The Beach Station with games, fun art & craft activities and also enjoy a beach party! Adults can also try their luck to find one of the 50 gold balls in the Ballpit Sea and win exciting prizes. Just shop for AED 100 in any of the Dubai Marina Mall stores and win amazing discounts. Stand a chance to win the Grand Prize of AED 25,000 on Emaar Gift card (not Gif card) by entering the raffle draw, valid until 28th July 2018. So, wait no more and dive into the indoor summer extravaganza!